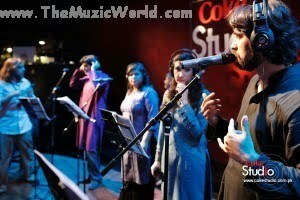 After the brilliant performances in COKE STUDIO 2, ZEB & HANIYA and NOORI performed again in COKE STUDIO 3 and this time together. A mutually inspired collaboration between Noori and Zeb & Haniya follows suit and is best described as a unique combination of tamed rebellion and serene sophistication. This light fusion track, ‘Tann Dolay’, showcases a range of distinct vocals with a signature Noori style music composition. To download TANN DOLAY by NOORI, ZEB & HANIYA (COKE STUDIO 3), click on the links given below.